Our proposed project aims to have control over the Ac power applied to a load by controlling the firing angle of a thyristor. In comparison to various methods this method is quite effective to control such a power supply. The android interface required for sending commands can be sent through any android based phone/tab or any device running on android OS. The system makes use of a waveform zero crossing point that is detected by a comparator and the output of this is fed to the comparator. 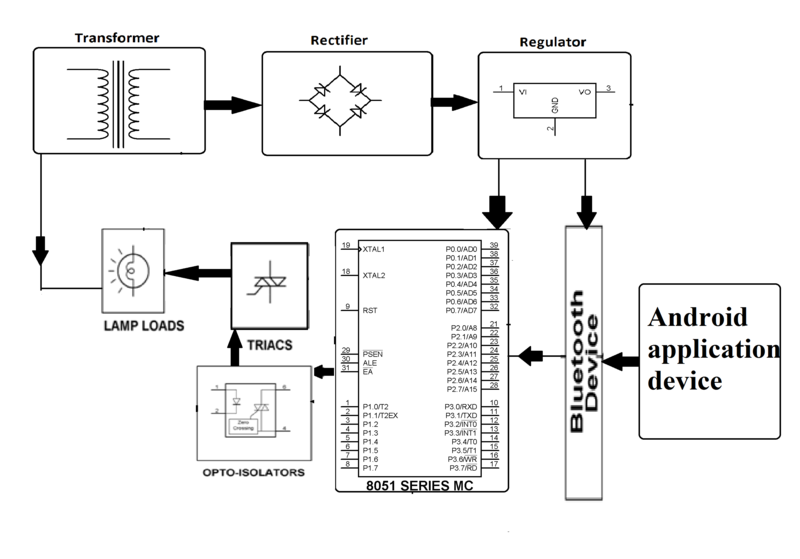 The microcontroller is programmed to delay triggering control my making use of an opto isolator interface to a pair of SCR’s. The power through the SCR’s is then applied to the load. 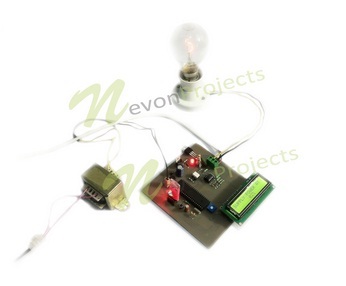 The project makes use of an 8051 microcontroller for the operation. The commands sent via android device are received by a Bluetooth receiver mounted on the circuit. 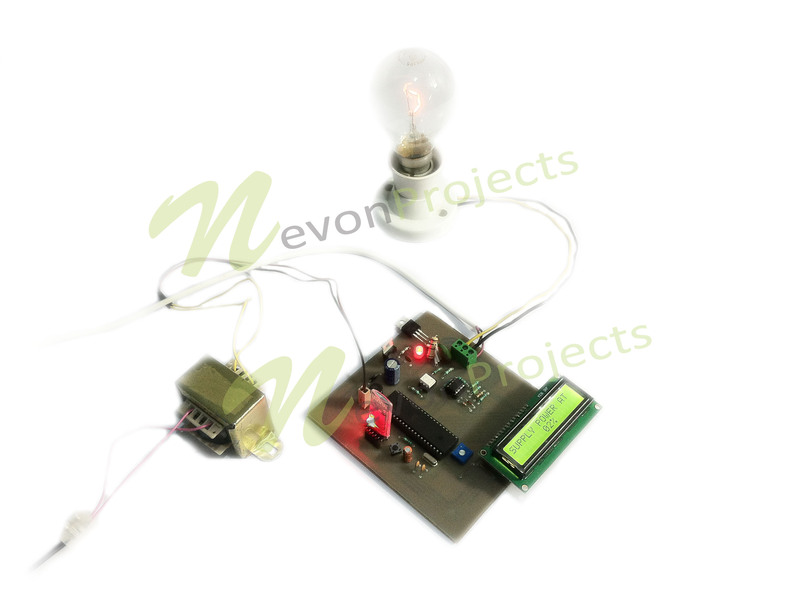 The receiver then processes the commands and sends it to the microcontroller for further processing. A lamp is used to demonstrate as a induction motor. The lamp intensity is varied as per the commands to simulate as induction motor speed.